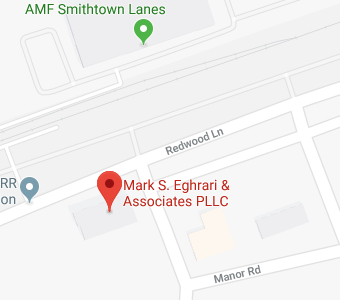 The Eghrari Law Firm offices are located in Smithtown, so we can be easily reached by people that live in the Town of Oyster Bay, New York. This unique place is sprawled over a large area, spanning from the South Shore to the North Shore of Long Island. There are no less than three dozen villages and hamlets that are either totally or partially situated in the Town of Oyster Bay. These would include Bayville, Brookdale, Massapequa Park, Old Westbury, and Cove Neck, just to name a few. There are three institutions of higher learning in Oyster Bay, and it is the home of the American headquarters of the Irish airline Aer Lingus. Some famous and infamous people have lived in town, including mobster John Gotti on one end of the spectrum, and former president Theodore Roosevelt on the other. Without question, Oyster Bay is a great place to call home, and we are proud to be able to serve its residents. People in Nassau County are well aware of the fact that Oyster Bay is a very affluent area. The average household income is right around $180,000 at the time of this writing, and the median sale price for a home is over $600,000. Average household net worth in Oyster Bay is almost $1.2 million. When you have been very successful from a financial standpoint, you have the ability to do many good things for your family when you are crafting your legacy plan. This being stated, you must be aware of the potential ravages of the federal estate tax. The credit or exclusion is the amount that can be transferred before the estate tax would become applicable. It is over $11 million right now, and there are annual adjustments to account for inflation. This tax carries a maximum rate of 40%, so it is something to take very seriously. There are a handful of states in the union that impose state-level estate taxes. As luck would have it, the Empire State is one of them. The exclusion on the state level is much lower than the federal estate tax exclusion. Because of this, you could be exposed to the state level tax even if the total value of your estate does not exceed the amount of the federal estate tax exclusion. Right now, the New York state exclusion is about half of the federal exemption, and there are ongoing cost-of-living adjustments. As we have stated, on the federal level, you are only taxed on the amount that is left after you apply the exclusion, regardless of the overall value of your estate. Things are different in New York in a very bad way. If the value of your estate exceeds the state level exclusion by more than 5%, the entirety of the estate is subject to the death tax. You completely forfeit your exclusion. The rate of the state estate tax is graduated, and it tops out at 16%. We can definitely be of assistance if you are exposed to the state level estate tax, the federal estate tax, or both of these death levies. There are advanced estate tax efficiency strategies that can be implemented, and the optimal choice will depend upon the circumstances. When you take the right steps in advance, you can facilitate asset transfers at a tax discount. As a result, your legacy will be preserved, and your loved ones will be able to benefit from the success that you have worked hard for throughout your life. Schedule a Consultation Right Now! If you have concerns about the estate tax, we are here to help, and we can also provide assistance for our neighbors that are not facing estate tax exposure. You can schedule a consultation appointment right now if you give us a call at 631-265-0599. We also have a contact form on this website that you can use if you would prefer to send us a message through the Internet.